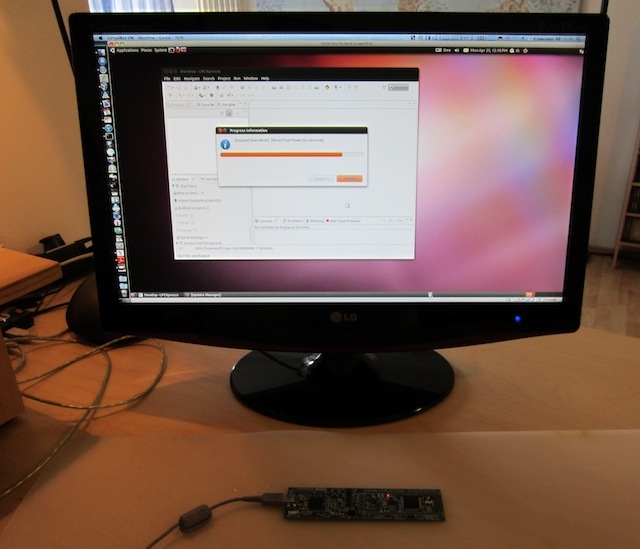 This page describes how to install the MIOS32 bootloader on a STM32F1, STM32F4 and LPC17 microcontroller, so that applications can be uploaded via MIDI without opening the MIDIbox case. Following informations are not for interest if you got a preburned STM32F103RE device -> please continue at this page. 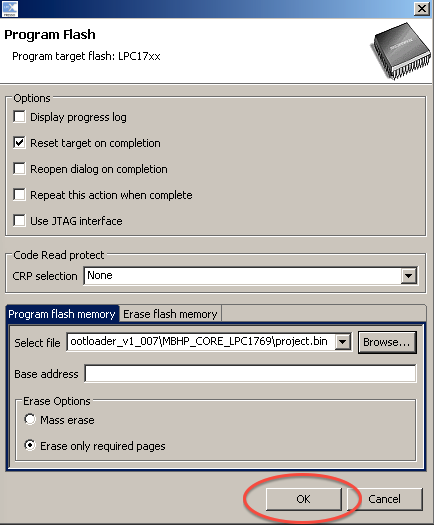 Unfortunately STM and NXP missed to integrate an USB based bootloader into the ROM memory, so that additional hardware is required to program a "virgin" internal flash memory. 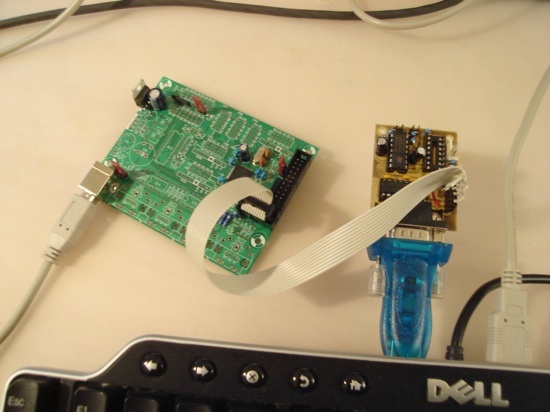 Using the ROM based UART Bootloader is probably the cheapest method, as it only requires a RS232 level shifter (e.g. 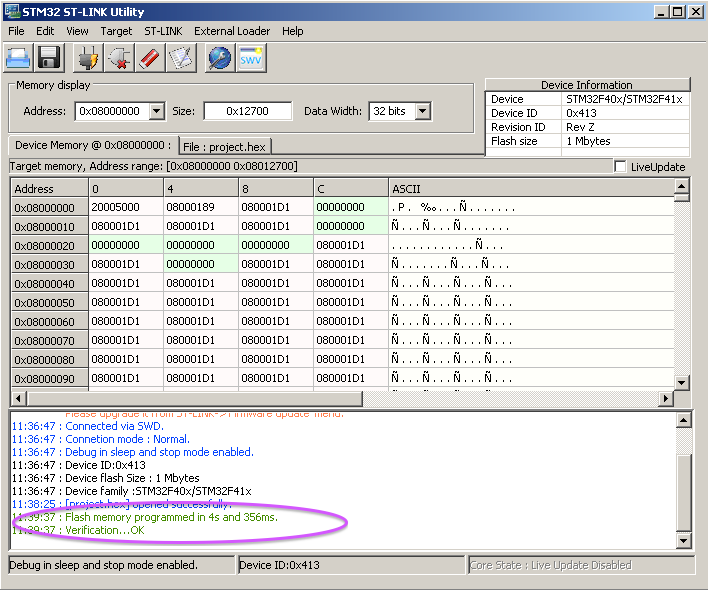 available on the MBHP_LTC module) and a COM port on your PC (virtual USB based COM devices are working as well). The preferred method for experts is the usage of a JTAG wiggler, as it gives access to debugging features of the ARM Cortex M3, like halting the CPU, setting breakpoints, reading/writing memories during the application is running. - has to be programmed into a virgin flash via JTAG or UART - or has to be provided in "preprogrammed chips"
Before a MIOS32 application can be uploaded via USB-MIDI, it's required to install the MIOS32 Bootloader. 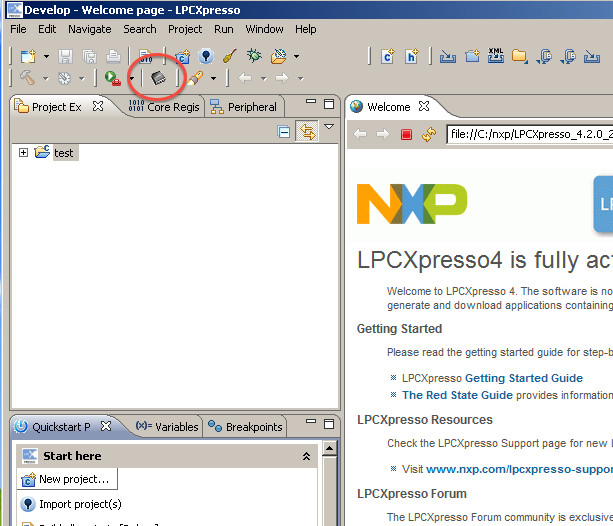 This can be done with the freely available LPCXpresso IDE which can be downloaded from the Code Red Technologies webpage. The STM32F4DISCOVERY board is equipped with an on-board debugger (right side) which is called ST-LINK/V2. 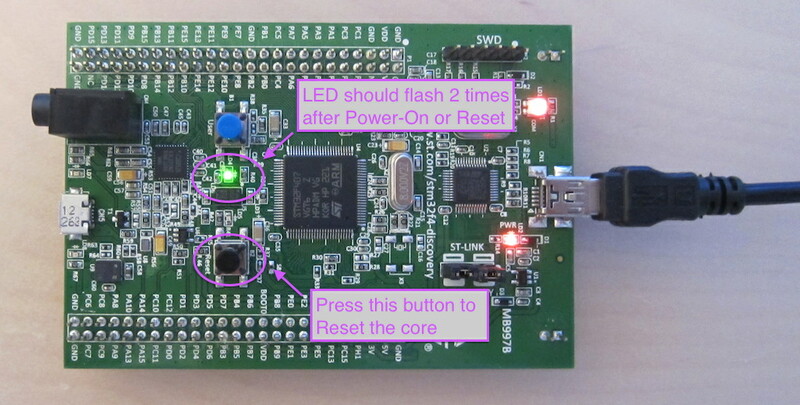 It has to be connected via a Mini-USB cable to your PC, and allows to program the flash of the target device (the STM32F407VE chip). 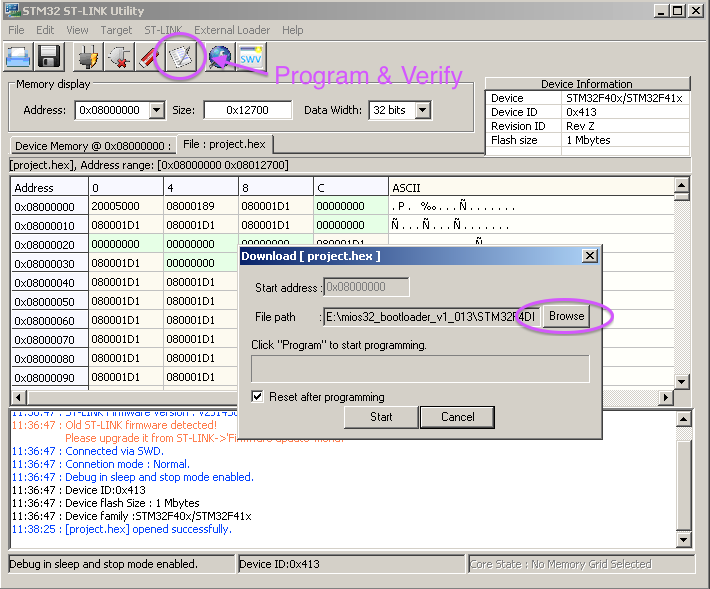 STM provides a Windows tool for ST-LINK/V2 which can be downloaded from this webpage. You should also download the Windows driver, and install it before starting the ST-Link utility. Linux and Mac Users could run the ST-LINK utility on a virtual machine like VirtualBox (this is what I did). 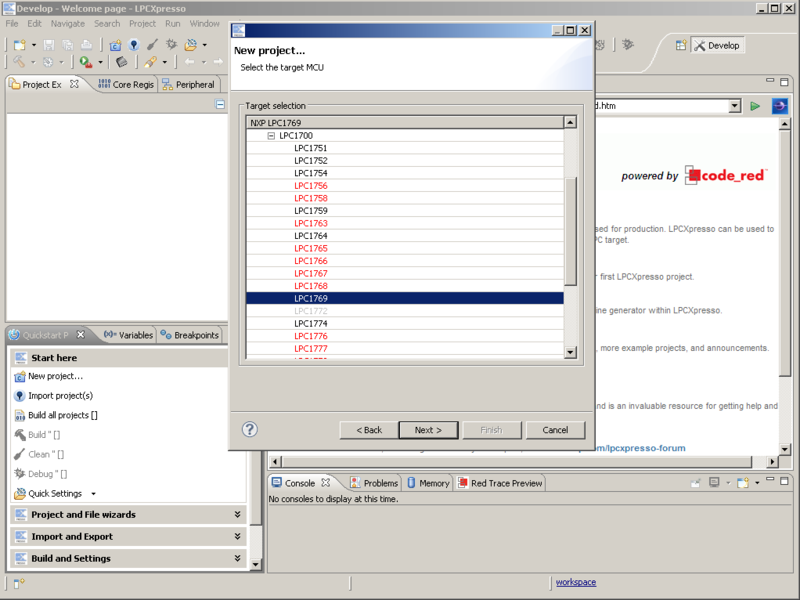 Alternatively, they could try alternative debugging tools like OpenOCD or qstlink2. However, using the "official" utility is the most simple solution, especially because it's ready-to-go (no compile orgies, no hunting for missing libraries, etc...). You only need to install the MIOS32 bootloader once, thereafter you can continue with the platform independent MIOS Studio! 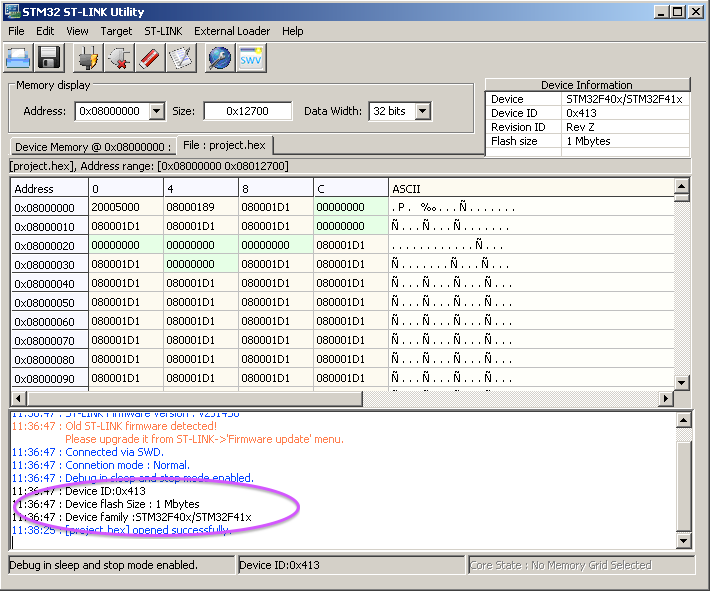 After the STM32F4DISCOVERY board has been connected to your PC, the driver has been installed, and the ST-LINK utility has been opened, try to connect to the ST-LINK by pushing the appr. button. The target device should be displayed. Click on the "Browse" button and search for the project.hex binary of the STM32F4DISCOVERY directory which comes with the MIOS32 Bootloader application. Finally press the (black) Reset button on the STM32F4DISCOVERY board. The green status LED should flash two times (effect via PWM modulation) - the MIOS32 bootloader is up and running! The bootloader doesn't work through the USB port of ST-LINK. Instead, a second USB cable has to be connected to the Micro-USB socket at the left side of the board! After the cable has been plugged in, wait until your operating system has found the interface and installed the legacy USB MIDI driver (typically works immediately under MacOS and Linux, but could take several seconds under Windows). More informations about the bootloader can be found here. 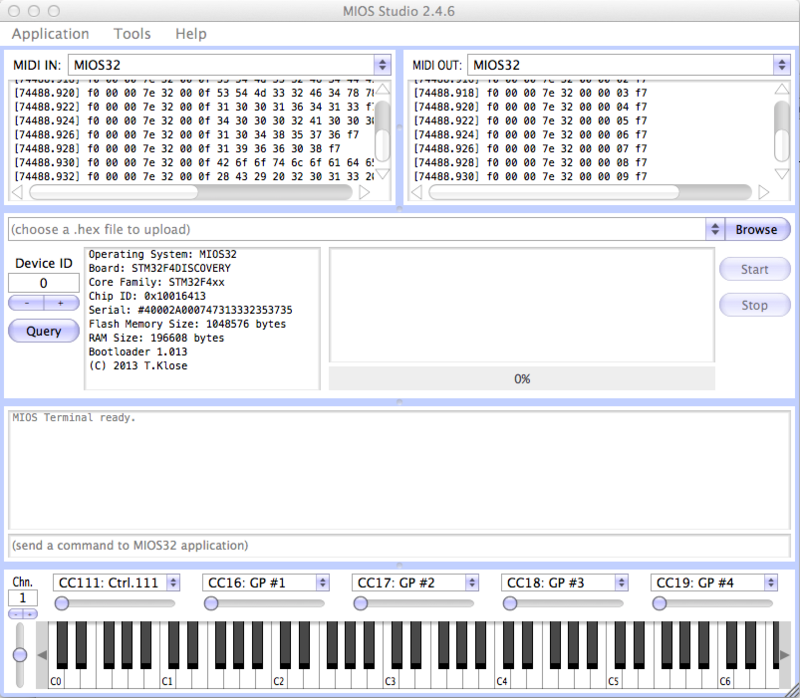 Now start MIOS Studio, select the correct MIDI IN and OUT ports (called "MIOS32" or "MIOS32 Bootloader"). 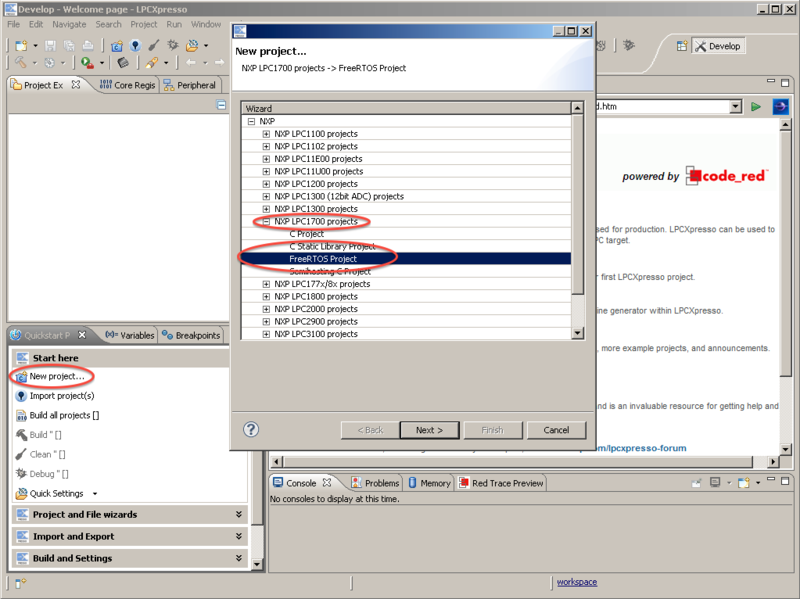 MIOS Studio should be able to query the device parameters as shown at the left picture. JTAG is a standardized serial interface (IEEE 1149.1) made especially for debugging and testing purposes, and supported by many hardware devices today, especially by microcontrollers. A premade wiggler typically costs around 30..40 EUR, such as the OpenOCD USB Adapter (40 EUR) or the JTAGkey-Tiny (30 EUR). I for myself own the OpenOCD USB Adapter and really like the additional COM port, which allows me to send printf based debug messages to a COM terminal on my Mac by connecting it to a UART output (typically MBHP_CORE_STM32::J11:MO2, configured at 115200 baud). It also works flawless under Windows and Linux, however this can be expected for all FT2232 based JTAG interfaces, such as JTAGkey-Tiny. There are also cheaper, LPT (parallel port) based JTAG interfaces on the market (especially on EBay), but LPT ports are normaly not available on modern computers anymore, and USB Printer adapters won't allow you to access the wiggler. The 20 pin JTAG cable has to be connected to J3 of the MBHP_CORE_STM32 module. This can even be done while an application is running (hot-attach). With OpenOCD a platform independent open source tool is available to access the STM32. The scripts in the MIOS32 programming platform are prepared for v0.1.0 and not probably compatible to newer versions, therefore it is recommended to try v0.1.0 first before using a newer version. If you prefer to compile the source code by yourself, you might need to install usblib before, which gives OpenOCD access to the USB interface. Quickstart: While starting OpenOCD, you need to specify two configuration scripts - one which specifies the JTAG interface, another which specifies the STM32 target. Prepared scripts are located in the MIOS32 repository under $MIOS32_PATH/etc/openocd. Note that you probably need to adapt the interface setup file! "help" gives you a list of available commands. Note that "telnet" also allows to connect you to a remote computer. Means: you are able to debug a MBHP_CORE_STM32 module via intra- or internet! Personally I prefer to edit source code with xemacs, run "make" in the shell to build a new binary, and debugging my code with printf messages or by sending MIDI events. Under special circumstances, I'm using Insight to debug the application for interactive debugging via gdb. A short installation guide can be found in the MIOS32 MEMO. This is probably the cheapest solution to download code into a "virgin" device. STM provides a comfortable windows application which connects to the bootloader and allows to upload a .bin file. The transfer protocol is documented as well (here), so creating a similar program for Linux and MacOS is feasible. Here an interconnection diagram for the LTC module. Note that you need to remove the bootmode jumpers on J27 and J23, and power-cycle the core after code upload.